The tribute match for the late Ireland and Manchester United soccer star Liam Miller raised an astonishing €1.5m for his young family and a range of charities. The revelation came as the match organisers confirmed the net fundraising total from the September 25 game and the good causes to benefit from it. 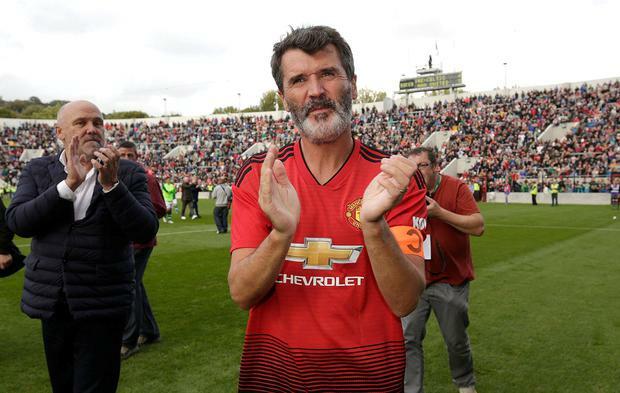 The sell-out match between a Manchester United XI and an Ireland/Celtic XI became the first soccer match ever staged at the GAA's Páirc Uí Chaoimh in Cork. A total of €1m will now be placed in a special trust for Mr Miller's family and his three young children. A further €250,000 will be donated to Marymount Hospice, where Mr Miller received care, and €100,000 will be given to the Jack O'Driscoll Fund, an appeal in aid of a young man left paralysed after a freak fall during Storm Emma. A further €35,000 will be donated to the Mercy University Hospital Foundation, €35,000 to the Oesophageal Cancer Fund and €20,000 each to Enable Ireland, Cork Simon, Cork Penny Dinners and Down Syndrome Cork. Mr Miller's wife, Clare, and the Miller family said they were "overwhelmed" by the reaction to the tribute match staged for the former midfielder, who lost a brave battle with cancer at the age of 36. "We feel truly blessed and grateful. We would like to thank everyone involved from the bottom of our hearts. The love and support you have shown will always be remembered and treasured by us." Developer Michael O'Flynn, who spearheaded the tribute match, said it was a remarkable success.